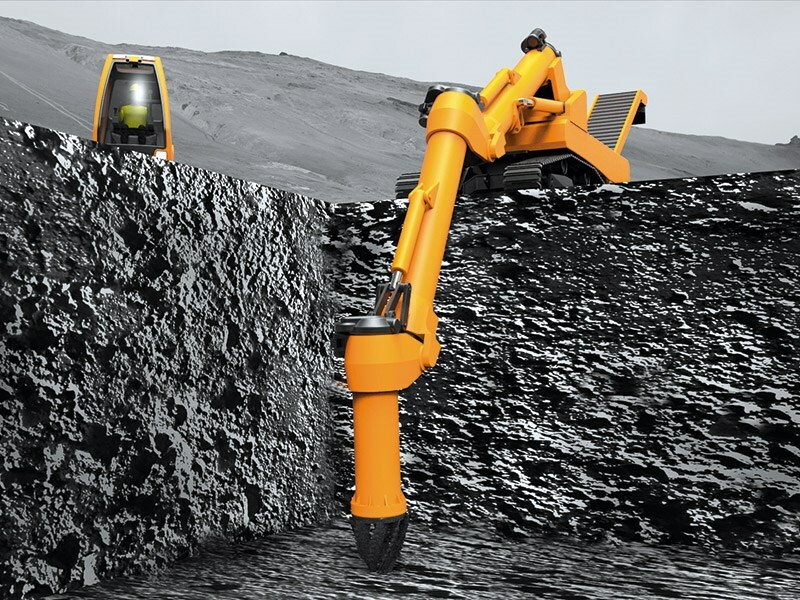 The Hercules excavator uses proven technology with a continuous output. A plug-in hybrid system works with a conventional engine. The operator can reposition the cab for better viewing and safer working. A concept excavator that uses a rotary cutting head and extracts soil via augers and a conveyor belt, eliminating the need to swing, has been awarded a 'Best of Best' Red Dot Design Concept award. 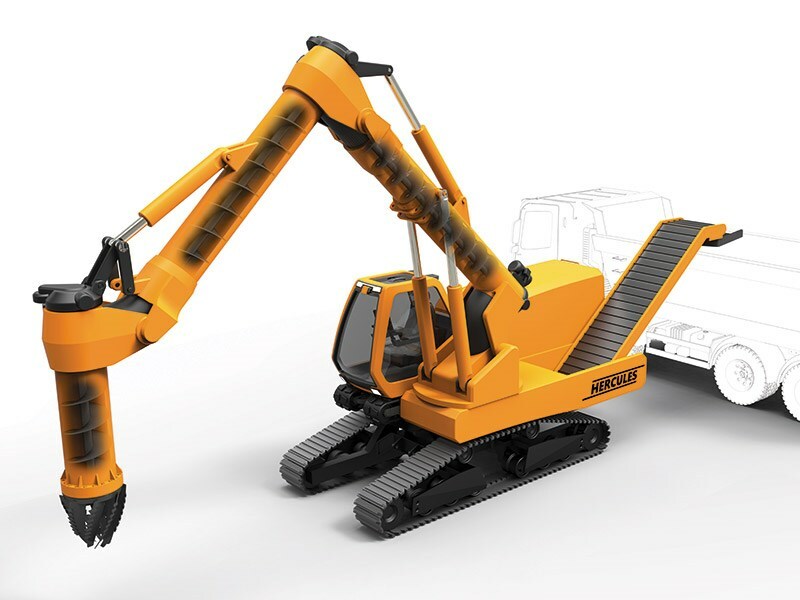 The designers — a multinational team of graduates from Britain's Coventry University — say the Hercules Concept Excavator's "continuous mode of operation" will deliver significant efficiency, energy and time savings by eliminating energy-wasteful dead cycles during which the excavator boom needs to be swung to dump the soil and returned again. Of course, this swing cycle has become less energy-wasting in recent times with companies such as Caterpillar, Komatsu and Hitachi introducing hybrid excavators that convert and reuse the slew braking energy. The Hercules team says the excavation process begins with a cutting head that rotates and moves in three dimensions. "The soil is drawn inward by the cutting blades and transferred through the booms via internal augers," it says. 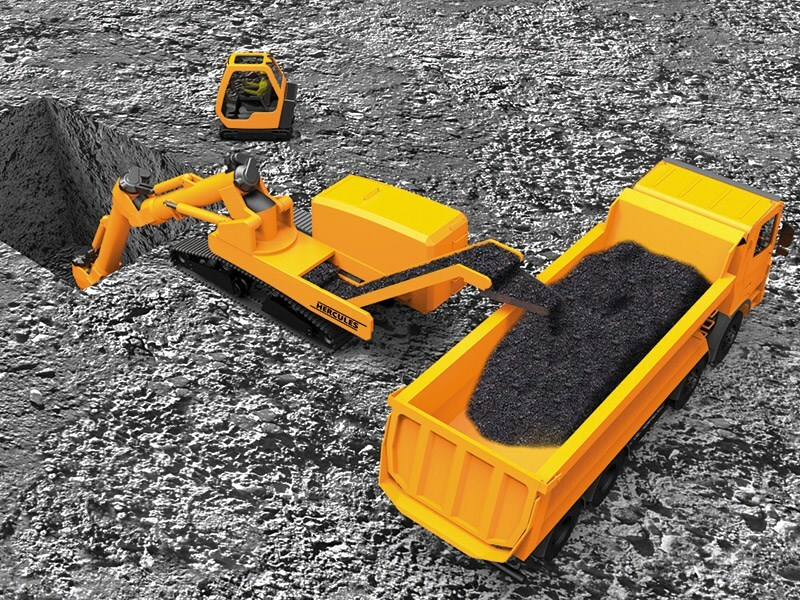 "Finally a conveyor belt transfers the soil to the receiving vehicle at the rear end of the excavator." The excavator concept includes the use of a plug-in hybrid electric system that would work in conjunction with a conventional engine. "Batteries store energy from the engine that would otherwise go to waste, and these can also be charged through the grid," the team says. "An all-electric system of actuators and motors reduces the maintenance cost and increases the efficiency compared to high-pressure hydraulic equivalents as the power is only consumed when it is necessary. Indeed, there is no need for hydraulic oil at all, which in itself provides further cost and environmental benefits." 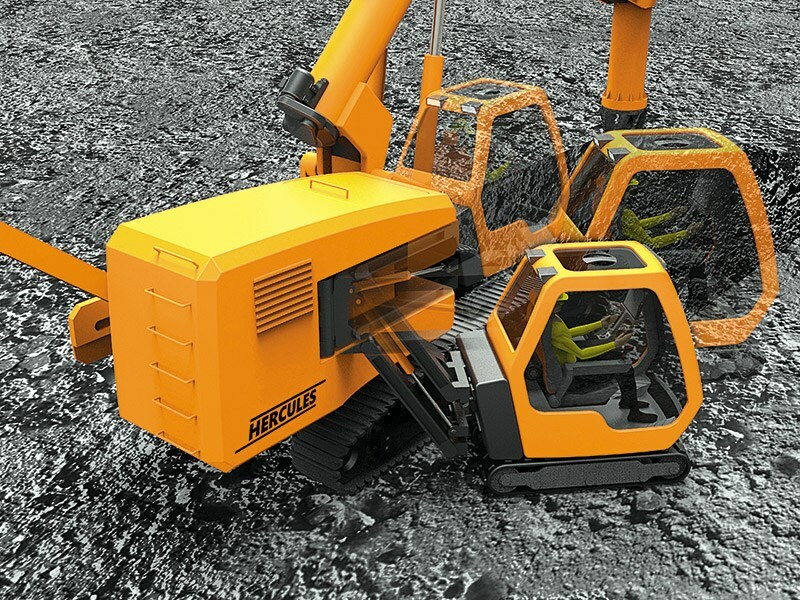 Adding to the futuristic concept is a detachable cabin that makes excavation safer for the operator. The team envisages the use of pre-excavation ground-penetrating radar surveys as standard practice when using the Hercules. "The terrain is scanned and potentially hazardous or problematic obstructions are identified and can then be safely excluded from the resulting excavation map," it says. "The intelligent control unit calculates the most efficient map of excavation and with the commencement of excavation; the cutting head follows the pre-calculated tool path, in a manner similar to a CNC machine." The winning team is Selin Kosagan (Turkey), Chi Liu (China), Danny McElchar (Ireland), Apostolos Papamatthaiakis (Greece) and Rahil Rupawala (India). Selin and Chi have completed MSc Industrial Product Design whereas Danny, Apostolos and Rahil are MSc in Design and Transport. 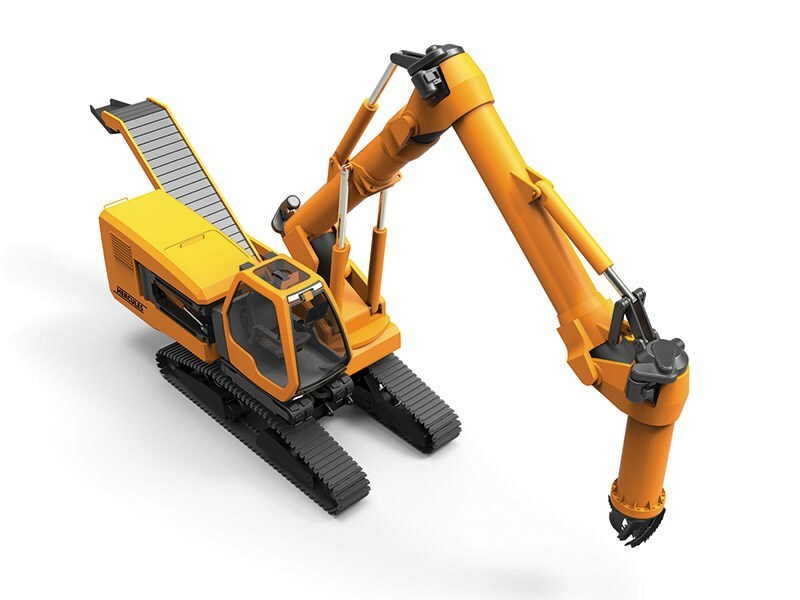 Think you can design a better excavator? Send your suggestions to the editor: rcovich@ bauertrader.co.nz (no spaces). 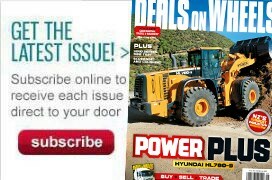 For the latest news and reviews, subscribe to Deals On Wheels magazine here.